This time of year, runners are busy publishing their 2014 running recaps and setting ambitious new running goals for 2015. 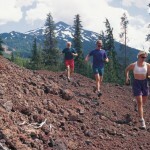 There’s a lot of buzz out there about ultras, trail races, marathons, and personal bests. Goal setting can be a difficult and intimidating process for runners. Most of us are just trying to get out the door each day. It doesn’t have to be. Choose goals that are reasonable and attainable so that you don’t end up frustrated or injured. A long-term goal, like a BQ (Boston Marathon Qualifying) time, may take several years to achieve. Try breaking it up into smaller goals that you can celebrate every 3-6 months. Run a faster 5K. The most-popular race distance in the United States is the 5K. It’s short enough to build your base mileage quickly and with a dash of speed work, you’ll be ready to grab a new PR in 6 months or less. Run your first marathon. A full calendar year allows you to safely increase your mileage without risk of overuse injury. 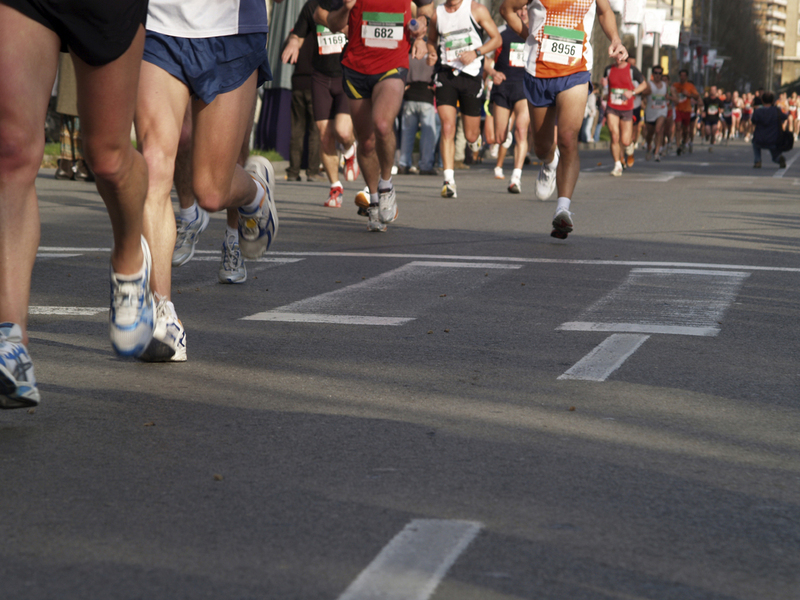 With careful planning, you can be ready for your first full marathon in 2015. Forget the clock. Finish your first 26.2 with a big smile on your face. Write your bucket list. Anything goes because this is where you’ll discover your motivation and passion for the sport of running. Your goals are entirely your own. Your Twitter buddy may be excited about conquering the famed Leadville 100, and you may want to keep your streak alive at the local St. Paddy’s 5 Miler. We all have different reasons for running, the most important thing is to enjoy the miles. This article is sponsored by RunnerBox. Skip the last minute miles. While last minute cramming may have helped you pass a college exam, it won’t help your racing. 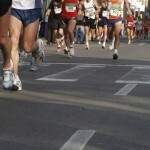 Your job is to arrive at the starting line 100% refreshed and ready to race. In fact, those last minute miles may do more harm than good. Running fitness is cumulative. One run missed or added will not make or break your running performance. Leave your miles to training, not to the week before the race. Confirm your race start time. It sounds silly, but race schedules change! Don’t risk a morning panic attack by foregoing this easy step. Upon your race check in, simply confirm the start time. In fact, take a picture of the posted schedule and wave starts with your phone so you may easily refer to it when planning your arrival time. Stick with food you know. Go online beforehand and do a menu search of the available eateries in the area. Once you’ve chosen your familiar meal, go one step further and make reservations for your dinner time two weeks before. Doing so, takes the guess work out of where to eat and when to eat. Plan to eat early to allow for proper digestion. The night before a race is not the time to try a new recipe or food choice. What you usually consume the night prior to your long runs is what you should consume the night before your race. The same applies to your breakfast the morning of the race. Plan for an early evening. Three of the most challenging words for athletes to hear: Take it easy! You may be too nervous to go to sleep early, but you can still rest and relax. Watch a movie, chat with friends. Lounge, guilt-free! Safety first. Before pinning your bib to your shirt the night before, take two extra minutes and write your emergency contact number on the back, as well as any vital medication/treatment information. Even with a timing chip secured to you, providing this easy accessible information on the back of your bib, may save valuable time during an emergency. Be aware of the weather forecast. Know the temperature and wind conditions as both of these specifically can alter your run efforts. Do you need to pack warm-up or cool-down clothes? There’s nothing worse than shivering your way through a race or overheating due to lack of planning. Be sure to heed the warning of nothing new on race day as well. This applies to clothing, as well as shoes and technique. If you haven’t worn it, consumed it, or tried it in training, don’t try it on race day! Allow time for a warm up. Regardless of the distance you’re racing, a proper warm up is an essential part of every athlete’s race day regime. This could mean simply walking from your car to the race start, or walking around the starting line. 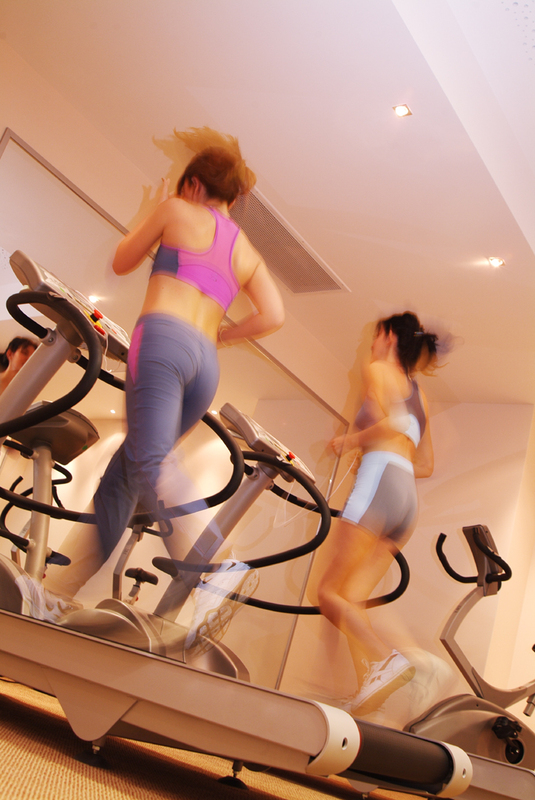 The goal is to increase heart rate and increase circulation, therefore preparing your body for the work of exercise. When will society stop focusing on appearance and start doing a better job of educating the importance of healthy behaviors? Appearance is not what decreases individuals chances of developing disease. It’s a balance of healthy eating, physical activity, life satisfaction, relationships, etc. that help fight disease (long-term.) Additionally, it has been documented time and time again that short-term benefits of physical activity include feeling better, increased productivity, friendship, and an overall happier mood. 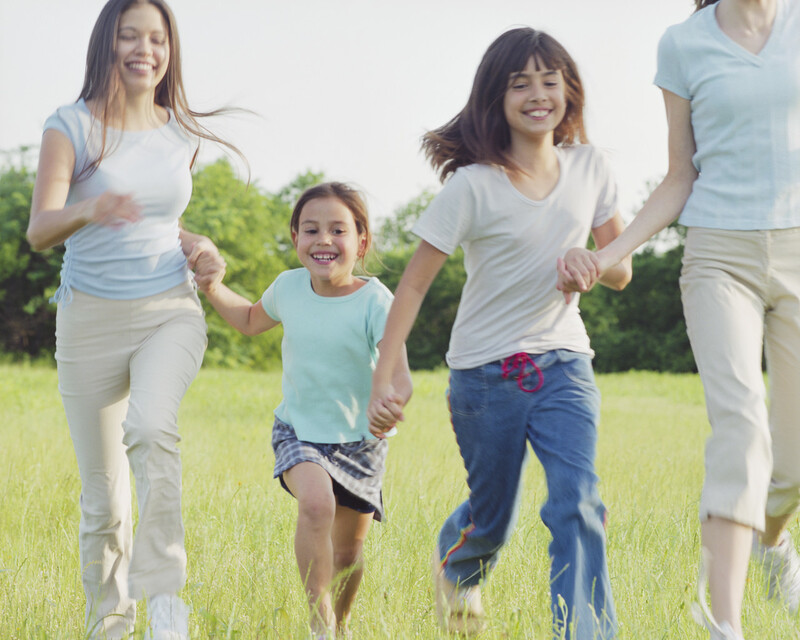 Healthy behaviors have been documented to aid relationships. If too much focus is on “losing 15 lbs” for the wedding, what happens to the goal the day after you get hitched? 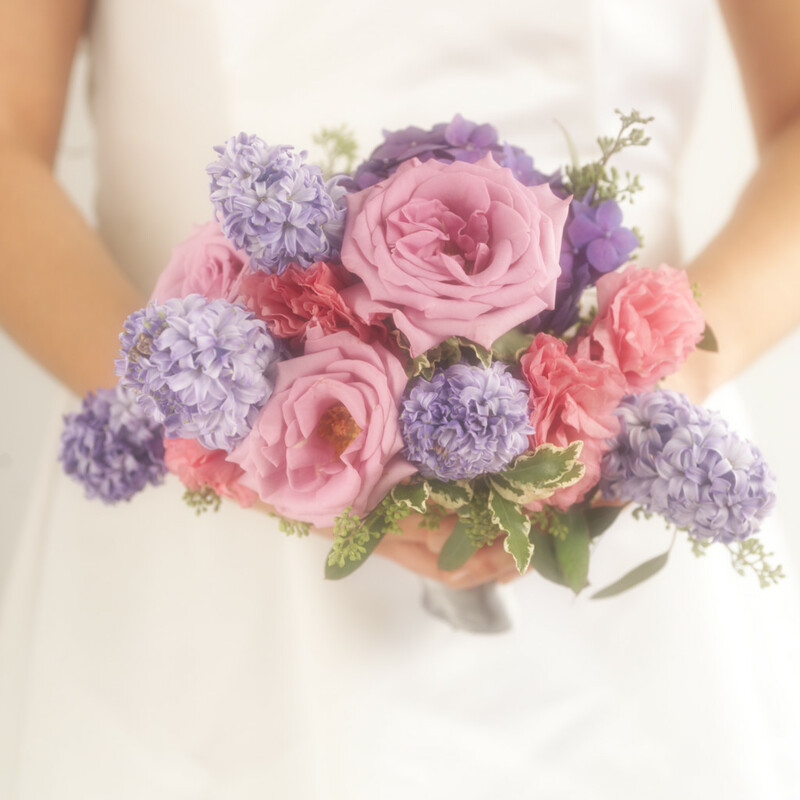 Alas, the point of this post is to share a fun way for you to be active on your wedding day and celebrate the active life you live – and, to illustrate your commitment to these healthy choices. If you are planning a wedding day run, I encourage you to consider this activity as a way to not only personally connect with the bride, but to help everyone relieve stress, have fun/social time, start the day with a sense of accomplishment and with a connection to nature. * Quotes about love and marriage. * Finish line sign or pictures of the bride/groom, friends, family, etc. * Rope/String to hang the sign on trees at the finish line. * Picture flag football flags. Now, make use the duct tape to make belts and flags for each person attending the “Stride with the Bride” run. The bride’s belt should have velcro covering the entire perimeter with at least as many flags as there are people. The quote /passage about love / marriage should be pasted inside the flag so the bride doesn’t read it. Each of the other belts should have several pieces of velcro so that when the bride “loses” a flag, the person who grabbed it can attach the flag to his/her belt. * Hang the sign without the bride knowing it is there. How does the activity work? * The group surprises (if possible) the bride with the flags, belts, etc. Let her think folks are just meeting for a run. This way, she can start her day feeling special and loved. * The group goes for a run together. 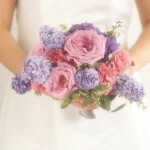 The bride is instructed that when someone grabs a flag from her belt, she is to chase that person down! Intervals, baby! What a better way to relieve stress? * Once the bride catches up to the person who took off with one of her flags, the person reads her the passage/quote while they continue to run alongside each other at recovery speed. This way, they have time to chat (just the two of them) while the rest of the pack catches. Each person who was invited to join in on the run / fun had a chance to wish her a special day, share a piece of wisdom, or just to joke around as s/he took strides with the bride. * After running together as an entire group, a few more minutes would pass and then someone else would steal a flag from the bride and, away she would go – again! Written by Amanda Stanec, PhD. Amanda has published over twenty articles and co-authored several book chapters related to physical education, sports, health and wellness topics. She has served on the Board of Directors for Physical and Health Education (PHE) Canada. If you truly want to exceed in racing, do train within your ability. Find the race distance and estimated time that fits within your current or achievable ability. Training for a pace you cannot realistically achieve can lead to burnout and injury. Training for a distance your life schedule does not allow time for can lead to burnout and unnecessary stress. You want to enjoy the training process, not stress about it. Set yourself up for success, not failure. Experiment with food, drink, clothing, shoes, and everything well before race day. Have it all down to a science. 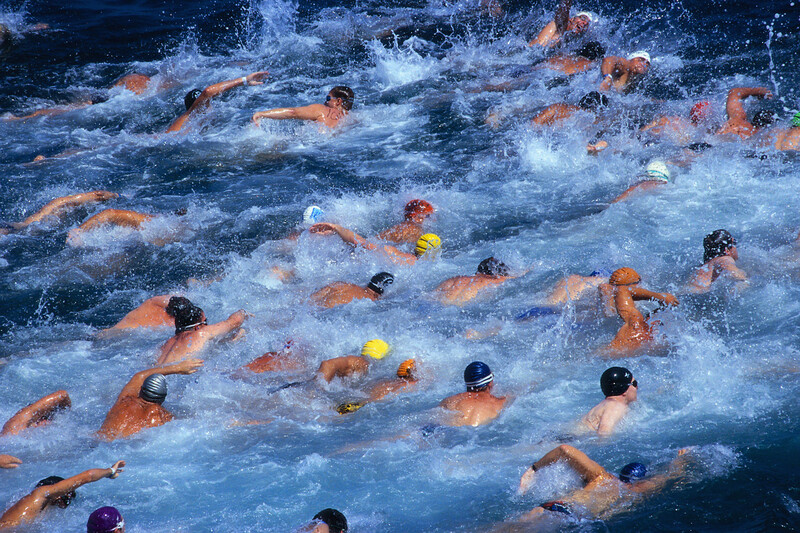 You want to be a practiced well-oiled machine race day and not risk digestive, energy or clothing issues. Don’t burst out of the gate with all you have, once that energy is expelled you will never get it back. On the back end of the race you’ll come up short with the extra energy burned during an over exuberant start. If you have a specific goal in mind, find a race that will help you to reach your goal. Find one with an optimal course and entrant size to assist you. 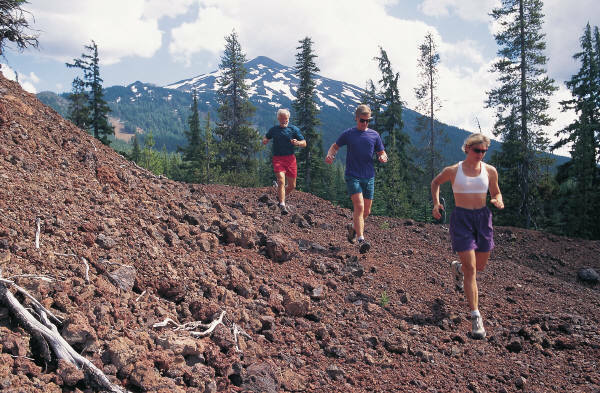 A race that is too crowded or has a lot of elevation challenges may be a fun race, but may put too many odds against you. Allow your body recovery time between races. Your body gets stronger and repairs at rest and recovery. Too much racing will lead to declining performance, burnout and injury. This article is written by Kristie Cranford, CPT. A wife, mother, multiple cancer survivor and competitive athlete, Kristie is an ACE Certified Personal Trainer as well as a Certified Running/Triathlon Coach for PRS FIT. Living in Las Vegas, she is 2012 Coolibar sponsored athlete, 2013 Training Peaks Ambassador and Raw Elements Sunscreen Ambassador. Contact information: Email: CoachKristieLV@yahoo.com, http://www.coachkristie.com, www.prsfit.com. This article is sponsored by RecoFit. FREE SHIPPING through April 30, 2013- simply enter the word “health” upon ordering! Want to perform better and recover faster? Get to know RecoFit Compression Gear! Their technical-fit and uniquely designed gear helps you get more oxygen to your muscles, reduce swelling and delay fatigue. RecoFit is the only compression gear that cuts their fabric in a cross-grain process; this means effective compression and no-slip positioning! Their breathable material disperses body heat and moisture, and has a negative ion charge to help oxygenate blood. As an American-made durable product, RecoFit’s specific manufacturing method allows users the exact amount of compression, exactly where they need it most. They offer 4 cost-effective products targeting legs, as well as arms. Founded by an athlete, tested on athletes, and made for everyone! Contact your compression experts directly at Recofit@gmail.com or via phone 303/415-0580. And be sure to join the RecoFit Facebook community at www.facebook.com/recofit and follow their Twitter feed via http://twitter.com/recofit. Discover the RecoFit difference for yourself! There are five main factors that contribute to fitness in triathlon – aerobic threshold endurance, nutrition, economy, strength and recovery – but your approach to them has to be balanced. Neglect one and your performance will suffer. The use of intense aerobic-threshold training (which effectively, means training at your predicted triathlon pace) is perhaps the best way to get fit – the more you do the easier the training session gets and the faster you become. However, the problem is that we have a limited tolerance to it, and the result can be over-training. Therefore, not all your training should consist of intense, aerobic-threshold work-outs, also known as a ‘key work-outs’. 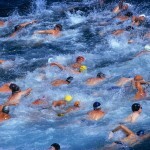 Unfortunately, it is a common mistake to do too many of them with more than eight weeks to go before a triathlon. In order to compete successfully in any triathlon event you must be able to load your body with all the fuel necessary to propel yourself across the required distance at the desired speed. But this factor isn’t only important when racing, because in order to complete your training successfully your body must be constantly carrying the correct amount of fuel. By that I mean the type of carbohydrate that can be accessed and fed to the muscles during training, as well as when racing. Top triathletes all have one thing in common – they don’t waste energy doing things they don’t need to do. Having 10% extra energy is not good if you use up 15% more running compared to a fellow competitor. Economy of movement is something that can be learned early and needs to become automatic. Strength is important in all sports. However, what is required in triathlon is sport-specific strength to the level required. For example, resistance training using hand paddles, cycling up hills and running off road is more specific than weight training. Full-time athletes are obviously more successful than those who work full time because they can dedicate more time to training, but another equally important reason is because they are able to take more recovery time. Most injuries and illnesses are caused more by the lack of consistent sleep, regular massages, healthy food, stretches and cool downs than anything else. These recovery essentials not only help you recover from work-outs, but more importantly they allow you to tolerate a greater amount of training. Fitness is about being able to recover as you train; the quicker the recovery the greater the effect it has on fitness. 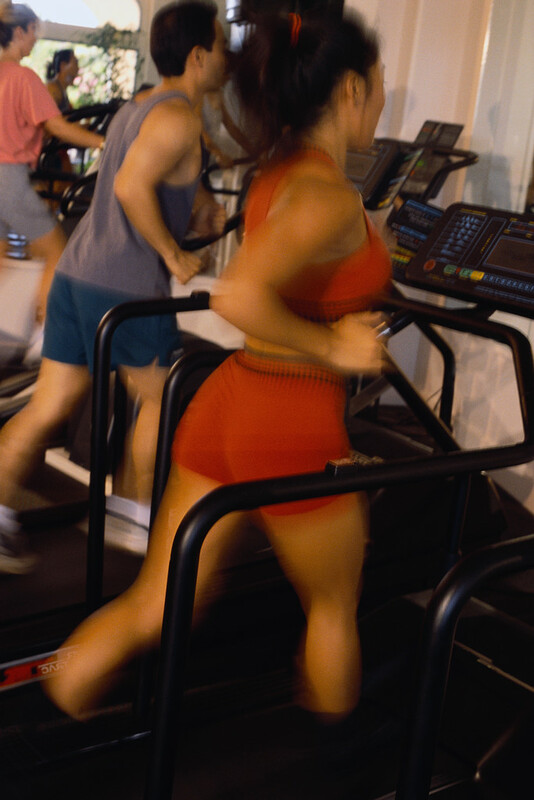 Treadmill Workouts: Beneficial or Boring? choppy. Surge for (3) minutes every (20) minutes. similar to race situations when surging to pass. feel like it. Don’t over stride. Benefit: The Fartlek is a great way to develop speed and turnover. that it is difficult to talk. Cool down 10 minutes easy. Benefit: The Step-up Run is not an easy run, but it builds strength and develops finishing power. This article is sponsored by ELANVEDA. Are you an athlete or fitness enthusiast? Don’t miss this opportunity to enjoy relief from sore muscles, at a one-time-only discount! http://elanveda.com/essential-oils/muscle-and-joint.php ELANVEDA Muscle & Joint Relief, a blend of essential oils created to relieve joint discomfort & muscle soreness, is a must for every recreational and professional athlete. Also perfect for anyone who has muscle pain due to an injury, fatigue or exercise. Use coupon code HYWOL20 to redeem your 20% discount through 11/30/12. ELANVEDA provides best-of-breed alternative medicine for everyday ailments, formulated using organic, wide-crafted and ALL NATURAL herbs and essential oils. ELANVEDA is partnered with Dr. Marc Halpern and the California College of Ayurveda to offer high quality products assuring the best formulas are used. Discover all their products, www.elanveda.com. Email via info@elanveda.com or call them directly, 310.570.9535. There is help for sore and achy muscles, ELANVEDA is your all-natural solution! A lot of focus and energy is put into preparing to get to the finish line of a race strong and ready. 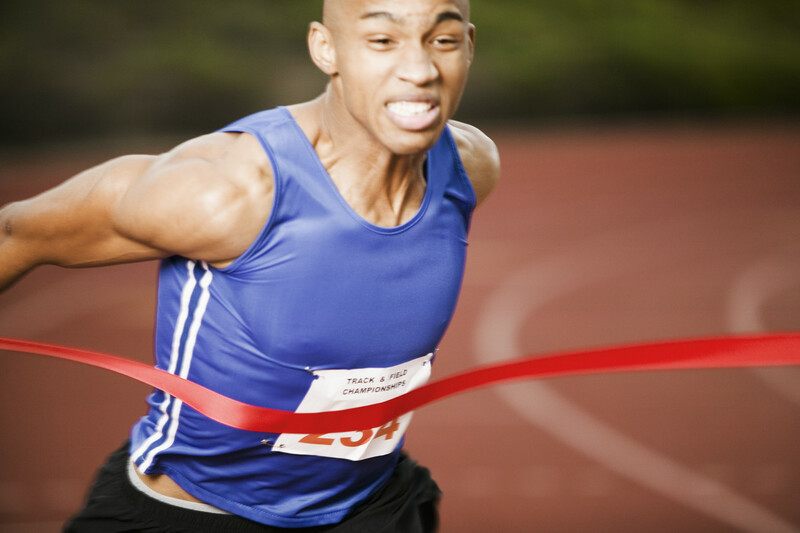 What happens when you cross the finish line? In all the planning one crucial part is often overlooked, recovery. Recovery is both physical and mental. It is important to prepare for both. • Replenish. Eat or drink something containing complex carbohydrates and protein within 30 minutes of the finish. Typical rule of thumb is 3 part carbohydrate to 1 part protein. Your body needs to refuel and will need protein to help muscles to rebuild/recover. • Hydrate. Drink plenty of water, and not just after the race. Continue throughout the day and days ahead. 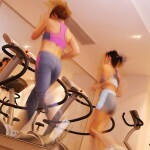 It will help to move the lactic acid out of your body. • Don’t stop. At the finish, don’t stop and sit down. Keep moving. Walk, a lot. Stretch. You want to keep your muscles from locking up and tightening. • Take an Ice Bath. Sit in a tub with ice and water, put your feet in a bucket of ice, or sit in a cold body of water. Ice baths reduce inflammation and tissue breakdown, therefore speeding recovery. • Compress. Put on compression sleeves or socks. Blood pools at the bottom of the leg when racing, compression will aid in improving blood flow, speeding recovery. • Rest. Allow your body to recover, repair, and become stronger. Muscle repairs and strengthens at rest. Do not immediately jump into a hard training program. Light yoga, swimming and biking for example, are good choices. Less intensity for a few days, even a week or longer to allow for proper rest and repair. Planning and preparing for a race should not be just about how to get to the finish, but what to do after you get there. Remember to have a recovery plan in place.